We at the Leicester LGBT Centre have been horrified to learn of the state-sponsored persecution, torture and death of Gay men in the Russian republic of Chechnya. According to independent media, up to 100 men suspected of being gay have been abducted, taken to what has been referred to as a ‘concentration camp,’ have been tortured and, in some cases, even killed. Those that have been released because, according to reports, the authorities haven’t been able to ‘verify’ their sexuality are still at risk of continued persecution by their families, friends and wider community, with reports that anti-gay feeling has been on the rise this year. Amnesty International is calling for an immediate end to the abduction, persecution and killing of people in Chechnya because of their sexuality or perceived sexuality. We stand with LGBT+ communities in Chechnya and join the increasing number of voices, here in the UK and internationally, calling for an end to the persecution and violence. This is a salutary reminder of the very real threat faced by many LGBT+ people in all too many parts of the world, just for who they love and who they are. 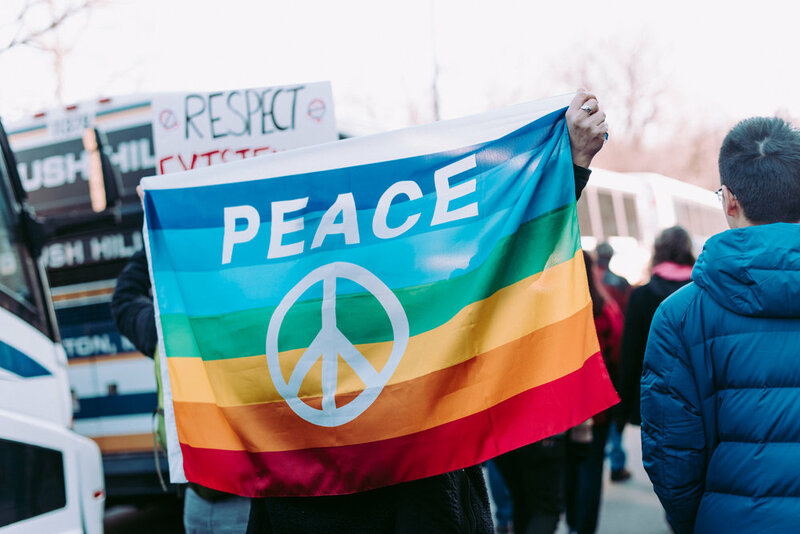 As an LGBT Centre in a proudly internationalist and multi-cultural city like Leicester, we stand shoulder-to-shoulder with all LGBT+ communities around the world and call for an immediate end to any and all persecution of our communities. We stand for love, peace, inclusion, diversity and celebrate our common humanity, as well as what makes us unique. I’d please encourage you to sign the petition here, by Amnesty International. Vice Chair, Leicester LGBT Centre.